GlobalSCAPE, Inc. (NYSE MKT: GSB), a pioneer and worldwide leader in the secure and reliable exchange of business information, has been certified as a great workplace by the independent analysts at Great Place to Work®. Globalscape earned this recognition based on reviews and ratings provided by its employees in anonymous surveys. 96 percent felt that Globalscape had great leadership. This recognition marks the fourth time this year that Globalscape has been honored as an award-winning employer. 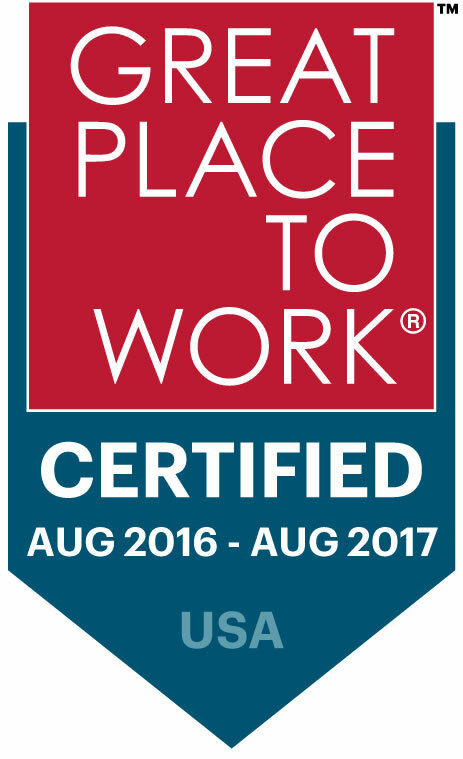 The company was named a 2016 Best Place to Work in IT by Computerworld for the third consecutive year, honored as one of the 2016 Best Companies to Work for in Texas by Texas Monthly and the Best Companies Group, and recognized by the San Antonio Business Journal as one of the 2016 Best Places to Work in San Antonio. "We applaud Globalscape for seeking certification and releasing its employees' feedback. These ratings measure its capacity to earn its own employees' trust and create a great workplace - critical metrics that anyone considering working for or doing business with Globalscape should take into account as an indicator of high performance."